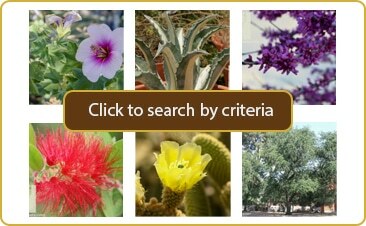 Texas rangers are a large group of popular plants known for their cold tolerance, drought resistance, and their love for hot, sunny climates. 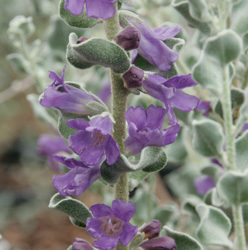 ‘Sierra Bouquet’ is a superior selection from the most fragrant species in this group, chosen for its dense silver foliage and heavy blooming habit. 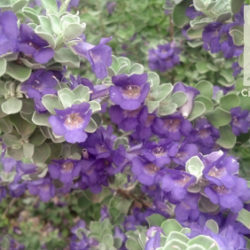 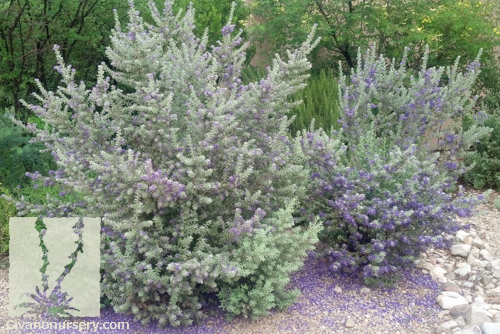 Also known as bubble gum sage, this large shrub’s bell-shaped flowers are a dark royal purple, and when blooming in late summer and fall, they fill the air with the delicious aroma of grape bubble gum! 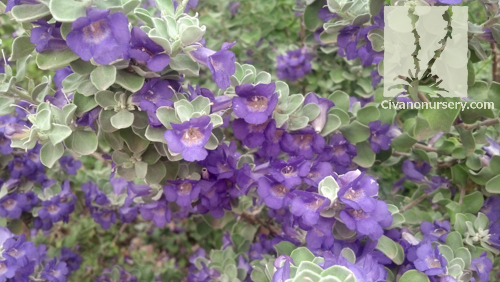 With no pruning, ‘Sierra Bouquet’ has a rounded but open form, and it keeps more foliage in winter than some of the most popular Texas ranger cultivars; which makes it a great foundation for natural landscape designs. 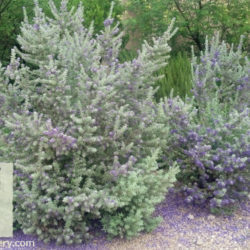 It tolerates heavy pruning as well, if a smaller shrub is what you desire.